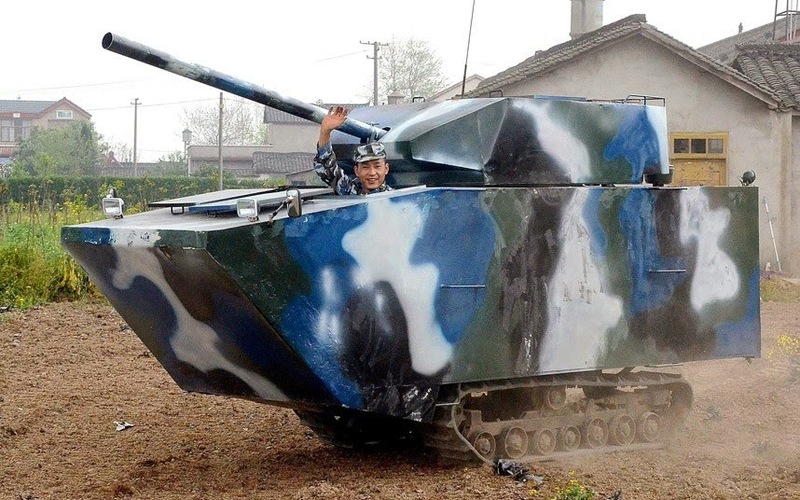 Retired soldier Jian Lin test drives his homemade tank in Mianzhu city, Sichuan province, China. Mr Lin was responsible for repairing aircraft during his military service in the Chinese Navy. After retirement he worked as a truck driver to make a living. He had the idea of making a real tank when his 6-year-old son broke his toy tank and asked him to buy a new one. He found pictures of a Chinese amphibious light tank- Norinco Type 63 online and spent about two months making a rough replica, which cost him around 40,000 yuan.